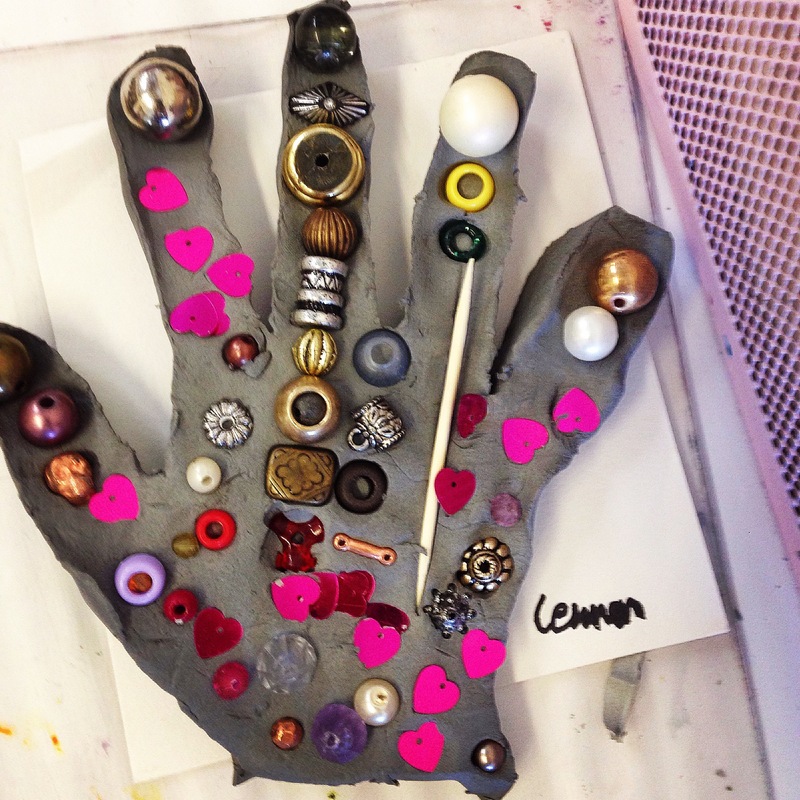 The process of tracing hands and decorating with teenie tiny beads, sequins, and toothpicks – picking up and placing and pressing and pushing is such great exercise for young children’s developing fine motor skills! 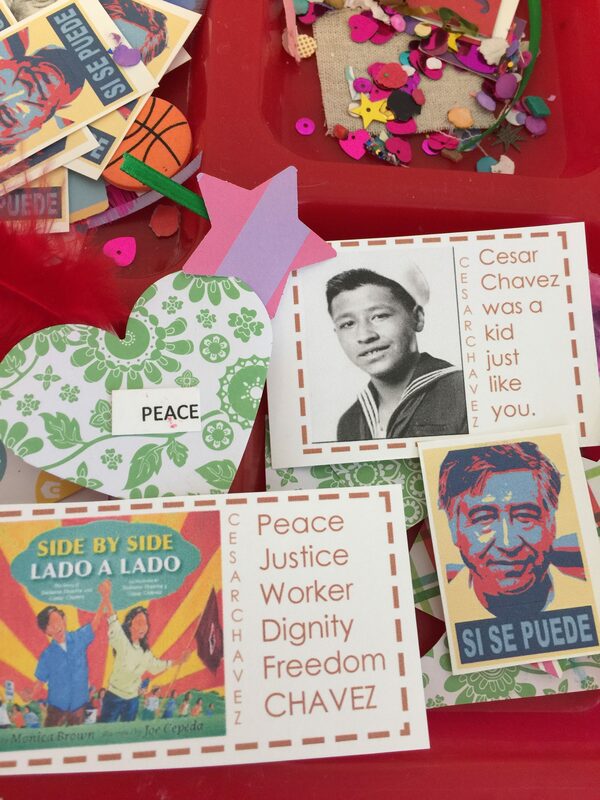 Collaging in honor of one of our heroes at Cesar Chavez Art Camp. 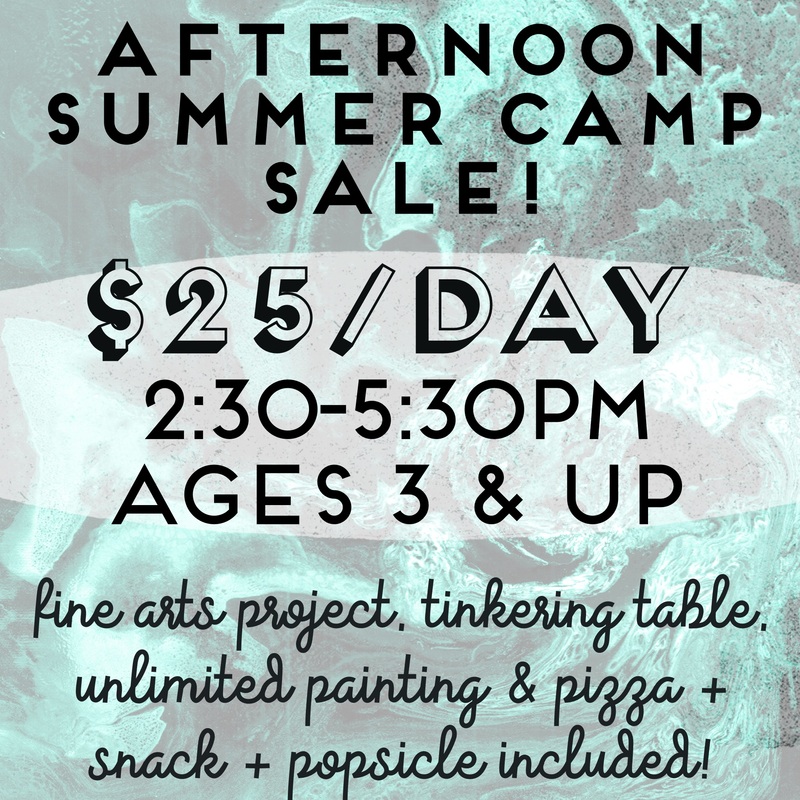 This Summer at our West LA location we are offering Afternoon Summer Camps Mon-Friday from 2:30-5:30pm -on sale now for only $25/day! 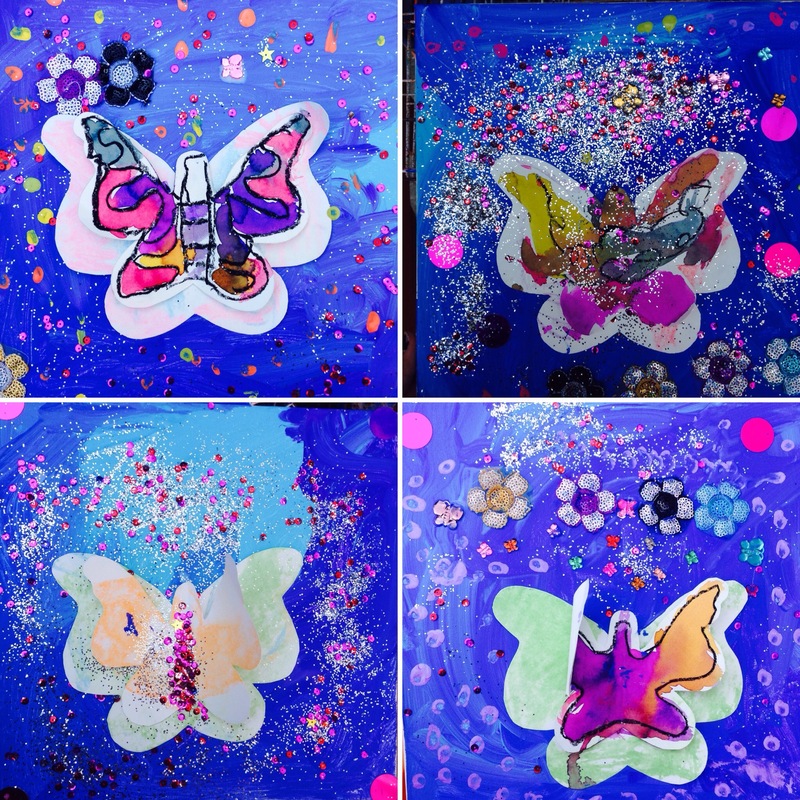 You can register for individual days, and every day includes a new teacher-directed fine arts project, tinker and sensory tables, endless play, and lunch and snack. 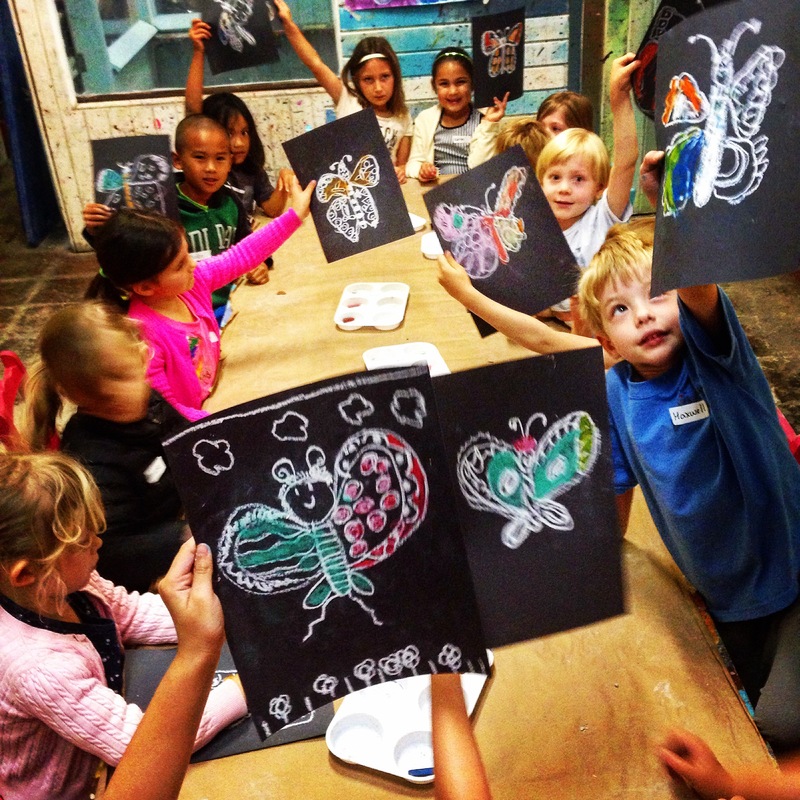 We take ages 3 & up, and you can register online! Don’t miss out on this truly unbeatable deal! 90 min Drop Off for 18 month-olds! 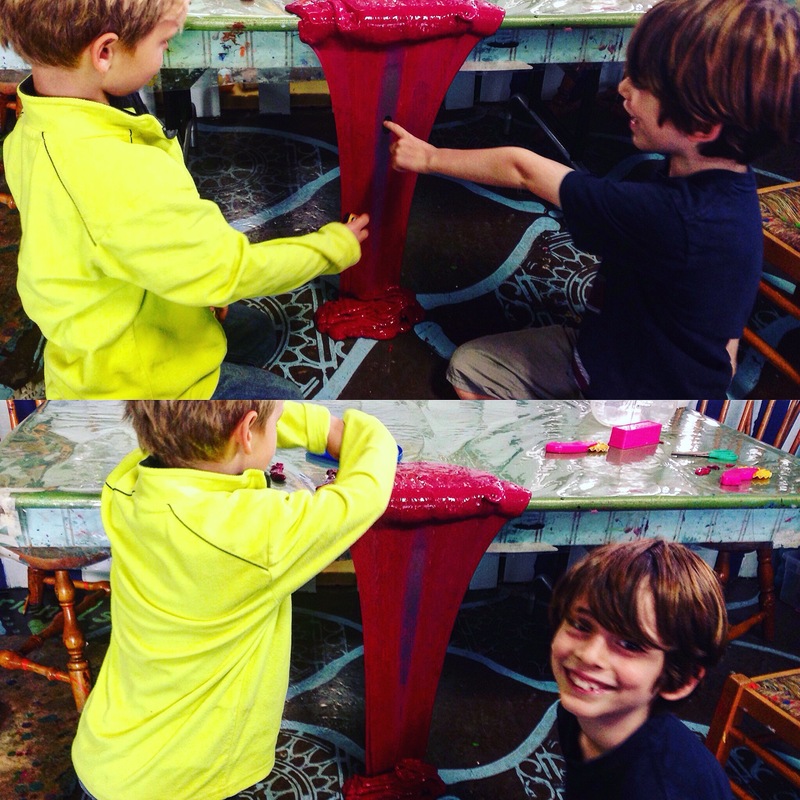 I think kids favorite part of Art Zone is when they are free to just make whatever they want. 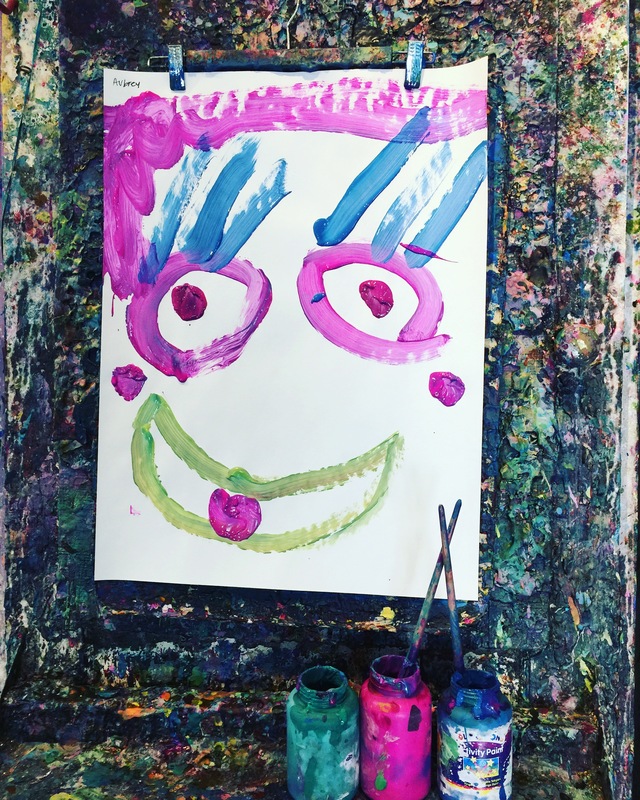 Lots and lots of joy and excited energy in creative freedom. 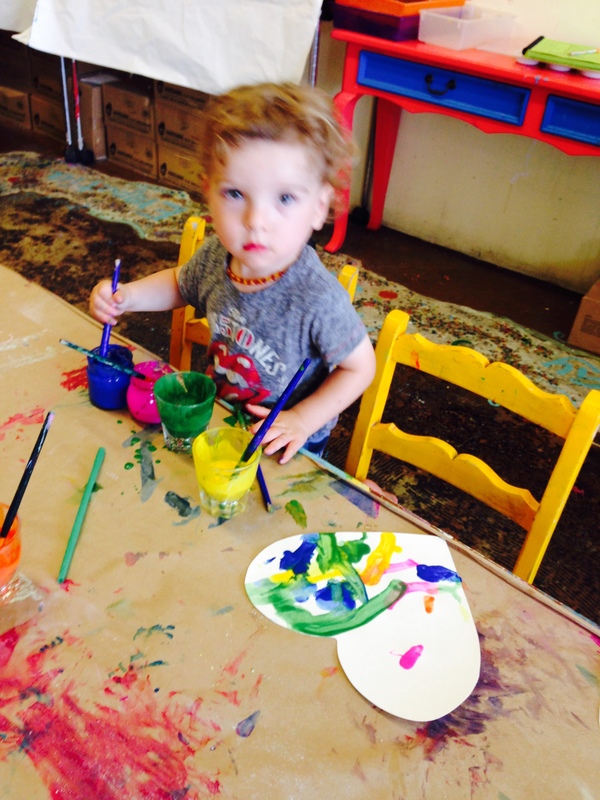 A staple of toddler sensory play. 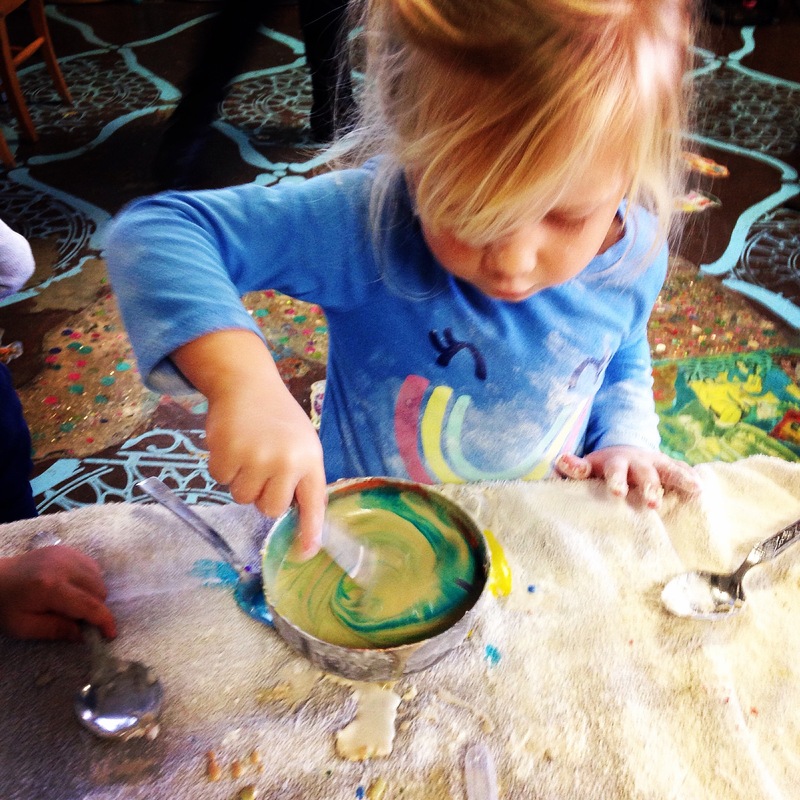 Learning through experimentation and the senses. 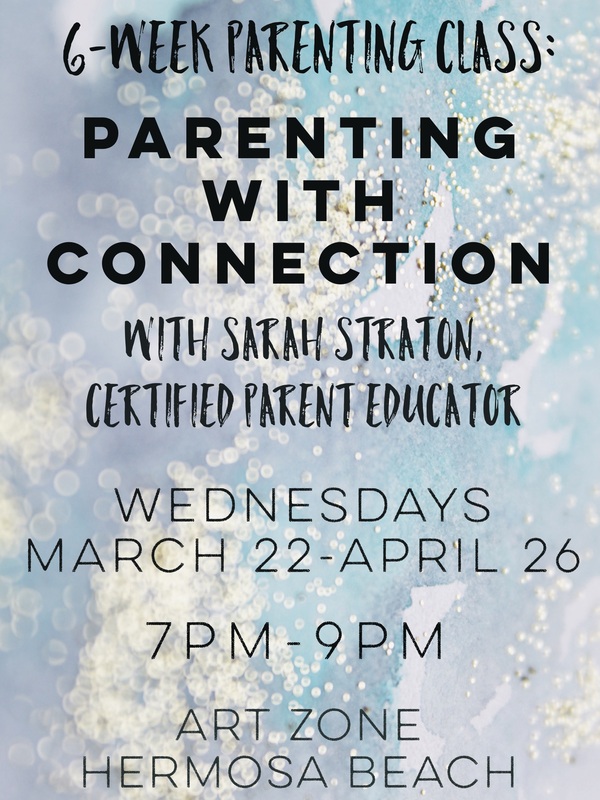 6-Week Parenting Series coming to Hermosa Beach!